We are applicators for all types of venetian plastering and decorative wall coatings. 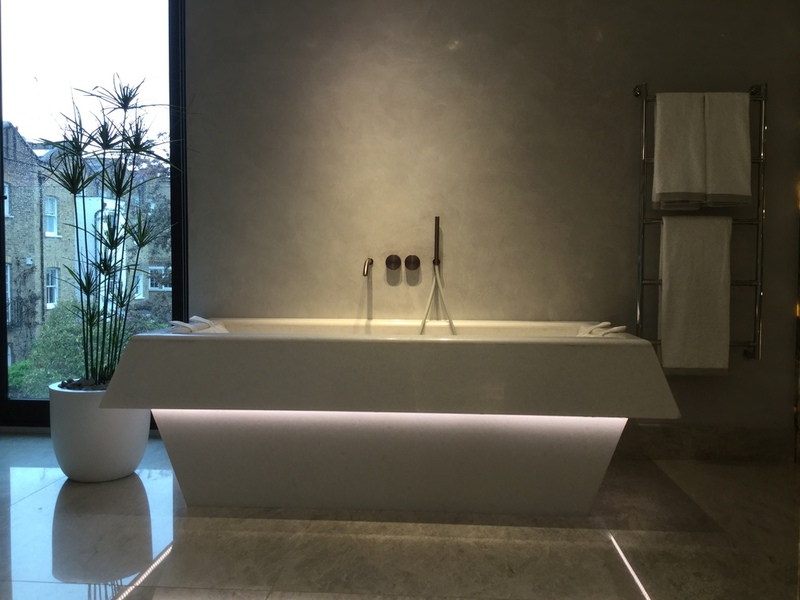 Polished Plaster Wimbledon will only use Authentic Venetian Plaster which is not a faux finish, We don't belive in using synthetic materials as this will ultimatley fade and become tired looking over a relatively short period of time. Our products have gone through extensive testing to ensure that these products are of the highest standards to which in return we can achieve the beautiful finishes we do. Venetian plaster is 100% natural, unlike paint it does not need to be reapplied over and over again for it to keep its natural form. Being Lime Based, Venetian Plaster has natural antibacterial properties making it resistant to mould and meldew, it is also breathable and perfectly suited to those looking to build sustainable or echo homes.